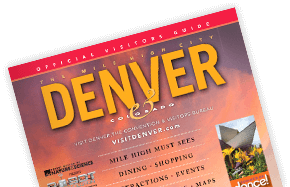 Not only is Denver a vibrant city filled with options for urban adventure, but it’s also a convenient base camp for a wide variety of Colorado vacations when you stay at hotels outside of Denver. For an easy outing, head west into the foothills of the Rocky Mountains to catch the scent of pine-filled forests and to check out world-class attractions like Red Rocks Park & Amphitheatre and The Fort Restaurant. Or make a day or weekend of it, testing your luck at the casinos in the historic mountain burgs of Black Hawk and Central City or panning for gold, touring the mines and boarding the steam train in Georgetown. While Denver is Colorado’s largest city, put the second-biggest one on your itinerary as well. Colorado Springs is about an hour south of Denver and has a whole different flavor and an outstanding array of attractions for all ages from money, ghost town and pioneer museums to the Colorado Springs Fine Arts Center, Pro Rodeo Hall of Fame and The Airplane Restaurant, which is actually built around a Boeing KC-97 tanker. 1 Hour | To the west of Denver, quickly enter into the foothills of the breathtaking Rocky Mountains and towns like Genesee and Morrison, home of the legendary Red Rocks Park & Amphitheatre. 3 hours | Colorado’s Western Slope is a treasure trove of mountains, mesas and canyons that are amazing backdrops for orchards, vineyards, ski slopes, golf courses and more.